T-minus 5 Days Until We’re in Nicaragua! Every single night we were in Nicaragua last year we were blessed with a beautiful sunset. It’s that time of year again where we say goodbye to Central Oregon winter and hello to Nicaraguan sunshine. This go around we will be adventuring up around Matagalpa and Esteli before heading down to San Juan del Sur. I promise to take LOTS of pictures… Steve just got me a new camera for Valentine’s Day, so I’m super excited to take it out and play with it. This trip is another half play/ half work trip. 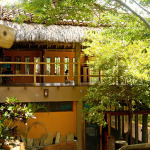 We will be checking out Finca Esperanza Verde for a possible future yoga retreat then heading down the coast to check out Aqua Wellness just north of San Juan del Sur. 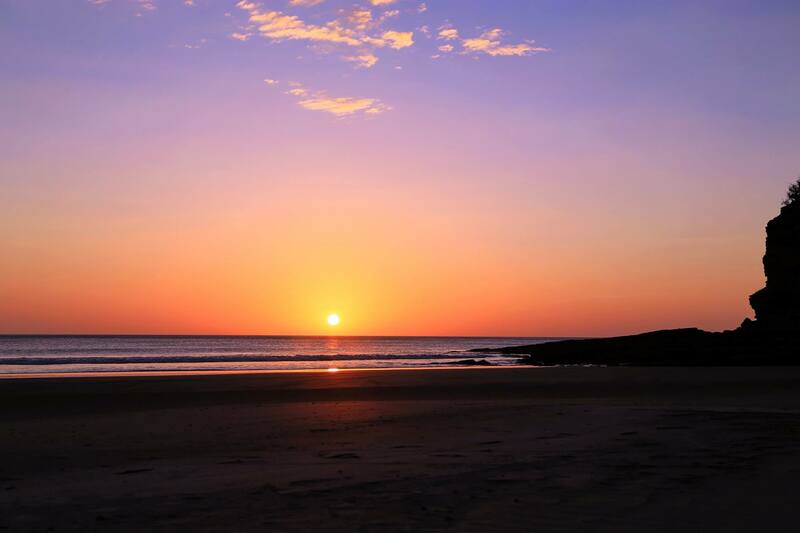 This year I will be hosting my second yoga retreat in Nicaragua at Costa Dulce, which I’m super excited about. I love how it feels like you’re at the edge of the world, just you, a handful of other yogis, and the ocean. It pretty much rocks. I hope to post pictures soon! 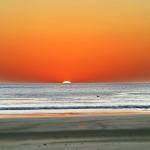 In the meantime here are a few pics from last years epic yoga and surf retreat. Steve handboarding during our retreat. 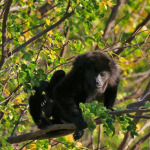 Howler monkeys… they were so fun to watch while practicing yoga. Silly group pic… missing just a couple. Our yoga space at Costa Dulce. 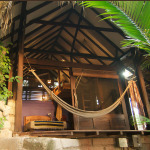 One of the many rooms… complete with the most perfect accessory: a hammock!